The plugin not only shows which scripts are vulnerable but also notifies you by e-mail when new vulnerabilities are found. It shows you what problem each outdated version of your favorite plugins pose. 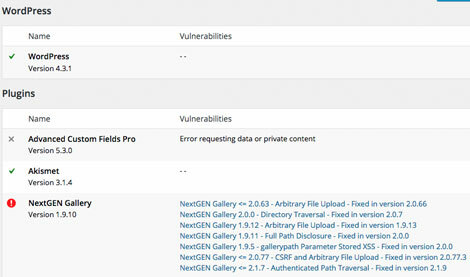 You can try Vulnerability Alerts for free.